Washington : A woman who has accused US President Donald Trump’s Supreme Court nominee Brett Kavanaugh of a past sexual assault, accepted a request to speak to a Senate Committee next week about the alleged incident, her lawyers said on Saturday. Christine Blasey Ford “accepts the Committee’s request to provide her first-hand knowledge of Brett Kavanaugh’s sexual misconduct next week” her attorneys wrote in a message to the committee on Saturday. But the message did not specify a date and time for Ford to speak, saying that “many aspects” of an earlier proposal by the Committee were “fundamentally inconsistent with it’s promise of a fair, impartial investigation into her allegations”, CNN reported. Kavanaugh’s allies quickly pushed back on the latest response from Ford, arguing that it does not actually amount to accepting the committee’s invitation to testify. “This is not an ‘acceptance’ of anything at all. The email doesn’t even say she will testify. It says she will ‘provide her firsthand knowledge’ but it doesn’t say how. It says she will do so ‘next week’ but doesn’t say when. And it says the rest of the terms are still up for negotiation. It ‘accepts’ nothing at all, but the language is very carefully calculated to give her credit for having accepted,” an informed source told CNN. The White House also responded to the development. 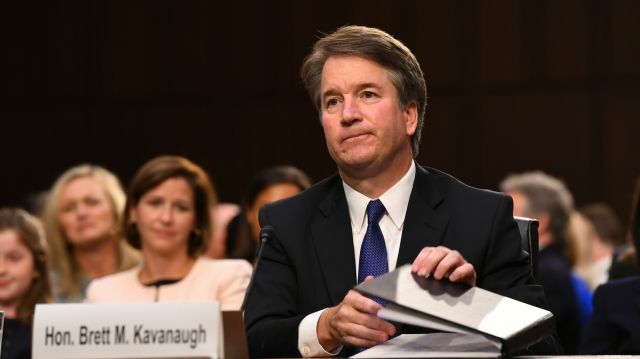 “Brett Kavanaugh has been clear from the beginning… He categorically and unequivocally denies this allegation and is eager to testify publicly to defend his integrity and clear his good name,” White House spokeswoman Kerri Kupec said late Saturday.